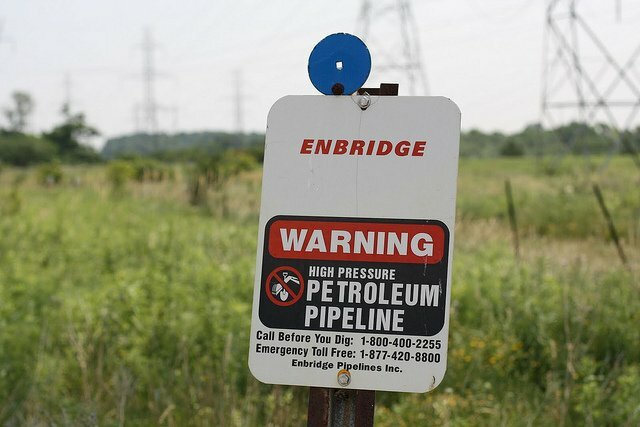 Dane County is the only district in Wisconsin to hold out on permitting Enbridge, a corporation that builds oil pipelines, to expand a line which currently runs across the state from north to south. The project would increase the line’s capacity and move it above ground. The line would make it easier for the state and country to access Alberta’s massive oil reserves, but environmentalists are concerned for a variety of reasons. The Dane County zoning committee postponed a decision Tuesday to permit Enbridge’s project. 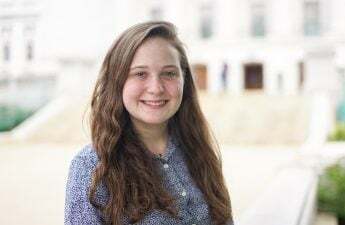 Elizabeth Ward, conservation programs director with the Wisconsin Sierra Club, said she supports Dane County’s resistance. Alan Carroll, a professor of geology at the University of Wisconsin, said the amount of retrievable oil reserves in Alberta is comparable to those of Saudi Arabia. He said most tanks of gas purchased in the Midwest are made with oil from Canada. Carroll said one of the economic benefits of revamping the pipeline would be the expansion of construction work, and it benefits the supply of oil going to refineries in the Midwest. It also has an influence on regional gasoline prices, he added. Ward said one of her organization’s concerns is that the line will increase the use of and dependence on tar sands oil in the US. She said compared with normal oil, the type pumped from Canada releases significantly more carbon dioxide into the atmosphere. Ward said now is not the time to increase to increase the country’s reliance on oil, especially tar sands. “More oil is more [carbon dioxide] in the atmosphere that we can’t afford,” Ward said. Ward said another concern for many environmentalists is tar sands oil pipelines tend to leak more than pipelines with other types of oil. Additionally, cleaning up this type of oil is something that is not well known, which was made clear in the 2010 Kalamazoo oil spill, Ward said. Unlike traditional oil, which floats on water, tar sands oil sinks after certain chemicals are released into the air, Ward said. She said more than a billion dollars were spent trying to clean up the Kalamazoo spill, but the effort was unsuccessful. “Once it sinks, we have no idea how to clean it up,” Ward said. 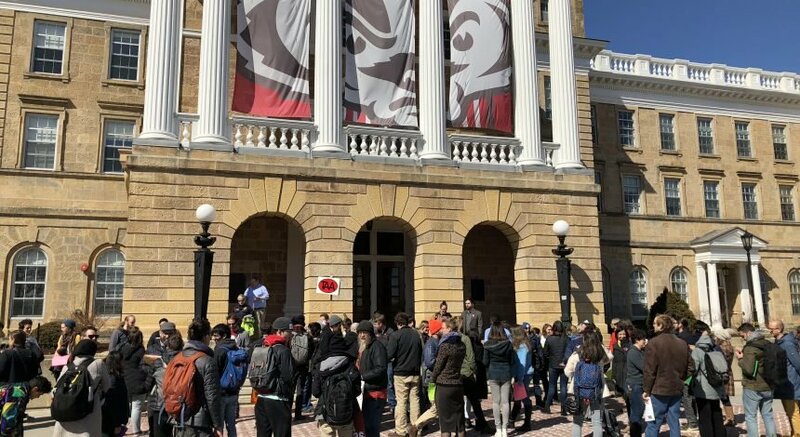 Ward said she is glad Dane County continues to hold back on permitting Enbridge to expand the line, especially considering what a possible spill into Lake Superior could do to the fresh water supply of the region and world. She said the Dane County took a step back and had a strong citizen voice objecting the line, which was not as true in other counties. “They didn’t have a lot of staff, time or money to really go through the permit,” Ward said. A spokesperson for the Enbridge Corporation was unavailable for comment.